The Blue Delta SkyMiles® Credit Card from American Express is an entry-level travel rewards credit card for regular Delta flyers. While there’s nothing particularly fancy or unusual about it, Blue Delta SkyMiles is a fine choice for travelers seeking a low-cost, no-frills spending aid that gets them closer to free airfare and class upgrades. If Blue Delta SkyMiles’ name rings a bell, it’s because it’s one of three “color” cards backed by American Express and Delta. Its bigger, more generous cousins are Gold Delta SkyMiles and Platinum Delta SkyMiles. Both those cards have annual fees, though, so Blue is ideal for more frugal flyers. Let’s take a closer look at what you can expect from Blue Delta SkyMiles. When you make at least $500 in qualifying purchases within 3 months of opening your account, you get 10,000 bonus SkyMiles. That’s nearly enough to redeem for a regular-priced one-way economy flight within the United States. 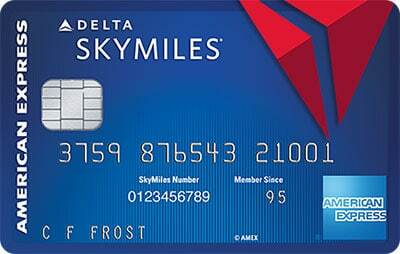 This card earns 2 SkyMiles per $1 spent on eligible restaurant and Delta purchases. All other purchases earn unlimited 1 SkyMile per $1 spent. The best way to redeem your accumulated SkyMiles is for Delta award airfare and fare upgrades. One-way economy redemptions for travel within the United States generally start at 12,500 miles. Round-trip economy U.S. airfare generally requires 25,000 miles. Periodic fare sales and discounts may reduce the number of miles required for one-way and round-trip flights to 7,000 miles or fewer, subject to tight route and timing restrictions. By the same token, mileage requirements may increase during periods of peak demand, such as spring break and summer holiday weekends. Airfare redemptions generally value SkyMiles between $0.005 and $0.02, but values for specific routes may be higher or lower. You can also redeem your SkyMiles in the online SkyMiles MarketPlace for merchandise, gift cards, and experiences. Redemption rates are usually below $0.01 per mile in the SkyMiles MarketPlace. When you use your Blue Delta SkyMiles card to pay for eligible in-flight Delta purchases, you get a 20% discount. There’s no limit to your potential savings with this benefit. Blue Delta SkyMiles has no annual fee. The foreign transaction fee is 2.7%. 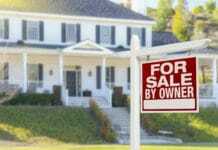 Cash advances cost the greater of $5 or 3% of the advanced amount. Late and returned payments cost $38. This card requires good to excellent credit. Any notable credit blemishes could adversely affect your application. No Annual Fee. Blue Delta SkyMiles has no annual fee. This is great news for light spenders and others whose top priority is maximizing the value of their earned rewards. Elevated Earning Rate at Restaurants. Unlike its fellow Amex Delta stablemates, Blue Delta SkyMiles earns 2 SkyMiles per $1 spent on more than just Delta airfare. In Blue’s case, it’s restaurants. That makes this card a great help for frequent diners looking for new opportunities to save money eating out. 20% Discount on In-Flight Delta Purchases. Most Delta in-flight purchases qualify for 20% off when you use your card. Eligible purchases include food, beverages, and entertainment. Decent Sign-Up Bonus. When you spend at least $500 in eligible purchases within 3 months of opening your account, you get 10,000 bonus SkyMiles. That’s nearly enough to redeem for an economy one-way within the United States, and should be easily attainable if you use this as your regular credit card during the introductory period. Complimentary Amex Benefits. This card has a nice lineup of Amex-backed benefits, such as rental car protection and 24/7 assistance for travelers. Low Baseline Earning Rate. Blue Delta SkyMiles earns just 1 SkyMile per $1 spent on most eligible purchases. Only restaurant and Delta purchases earn at higher rates. If you’re looking for a better return on general spending, check out general-spending options like Capital One Venture Rewards, which earns unlimited 2 points per $1 spent on eligible purchases – a 2% rate of return. No Framework for Accelerated Loyalty Status. Blue Delta SkyMiles doesn’t earn any Medallion Qualification Miles, Delta’s loyalty status currency. This is a big drawback for frequent Delta flyers looking to partake in Medallion status benefits sooner than they’d otherwise be able to through Delta travel alone. Few Delta Benefits. Beyond the 20% discount on in-flight purchases, this card doesn’t have much in the way of Delta-related benefits. For a more generous lineup, check out Delta Reserve from American Express – if you can afford the $450 annual fee. 2.7% Foreign Transaction Fee. This card has a 2.7% foreign transaction fee. 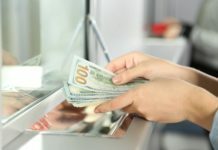 That’s bad news for cardholders who regularly travel outside the United States, even to relatively close international destinations like Canada and Mexico. If you’re looking for a foreign-transaction-fee-free airline credit card, opt for Barclays Arrival® Plus World Elite Mastercard. The Blue Delta SkyMiles® Credit Card from American Express isn’t the fanciest airline credit card in the world; however, there’s something to be said for its simplicity. If your top priority is earning Delta SkyMiles over and above what you’d accumulate simply by purchasing Delta airfare, you’re not going to come away disappointed here. The Blue Delta SkyMiles® Credit Card from American Express is a no-frills airline credit card built for frequent Delta flyers who don’t spend enough to warrant a more generous annual-fee card. It’s not appropriate for jet-setters seeking high-end perks or benefits, such as complimentary airport lounge access or Delta Medallion status. Notable benefits include no annual fee, solid returns on restaurant and Delta spending, decent sign-up bonus, nice suite of Amex benefits, and 20% discount on in-flight Delta purchases. Drawbacks include low baseline earning rate, no framework for accelerated Medallion status, the 2.7% foreign transaction fee, and the limited Delta benefits portfolio. Overall, Blue Delta SkyMiles is a basic airline credit card that’s appropriate for Delta loyalists who aren’t constantly in the air or overly concerned about luxury perks. Folks who spend more time on the road should upgrade to one of Delta’s premium options.